Every year employers are missing opportunities to save and employees pay more and more out of pocket. Luckily there's finHealth Navigator to address these problems. The number of cents on each dollar spent on your health plan that goes toward administration and profit for your third party administrator for paying your employees' medical bills. The number of NEW disease classification codes going into effect on October 1, 2015. This will likely result in a significant increase in the number and dollar magnitude of medical billing errors. We provide the data analytics you need to drive positive health outcomes and optimize the efficiency of the complex, error prone billing process. The healthcare app landscape is highly complex. The offerings range from healthcare billing software to software that updates Electronic Health Records to data analytics that impact clinical health outcomes and even to wearable devices/apps that track personal health data such as blood pressure, steps walked and even the quality of your nightly sleep. There is no shortage of healthcare “big data”, but the looming challenge is harnessing available data to drive positive health outcomes and optimize the efficiency of the complex, error prone billing process. finHealth is positioned in a very unique niche within that landscape, as we deliver powerful data analytics to simplify and control healthcare costs. Knowledge is power when it comes to safeguarding your healthcare dollars. The finHealth app educates the user on critical (and often non-intuitive) healthcare costing practices, fosters benchmarking versus critical targets, delivers fingertip access and transparency to your organization’s costs across several dimensions and isolates common healthcare billing errors through its proprietary risk-scoring algorithms. We are absolutely committed to delivering substantial cost savings to your organization, so committed in fact that our business model is predicated 100% on delivering results to clients BEFORE we get paid. that is embracing a role as an accountable care organization, finHealth stands ready to support you with world class solutions and expertise. We look to achieve this lofty goal through education, benchmarking, data transparency and proprietary algorithms. We are actively seeking customers that share a common vision for the future. In addition to managing healthcare costs, claim data can play a powerful role in educating patients, providers and stakeholders as to the impact of their healthcare decisions, and ultimately promote healthy & efficient outcomes for employees and their families. A new company with proven success. finHealth is a relatively new company, but our founder and CEO holds a track record of delivering exceptional value to his customers, and continually reshaping the industry he helped create. Jim Arnold started the recovery audit company Apex Analytix in 1988 to safeguard the spending for large global organizations. This was an incredibly radical concept at the time – that large organizations made significant errors paying their bills. Over the next 25 years, Jim and his team built APEX into a global leader in payment integrity, serving 200+ organizations (including one-third of the Fortune 100). Jim Arnold is the founder and CEO of finHealth. finHealth’s primary mission is to “Simplify & Control Healthcare Costs” for large self-insured plans and their employees. It is a lofty goal, but not dissimilar from Jim’s initial ambitions when he launched APEX Analytix back in 1988. Over twenty-five years, Jim was able to grow a one-man operation into a $40 million+ global company that currently serves over 200 Fortune 500 clients with audit services and software. While there are similarities to APEX in using technology to audit payments, finHealth operates in an even more challenging arena due to complex eligibility requirements, stringent healthcare regulations, arcane medical coding rules and a large pool of specialized medical knowledge/jargon. Much like APEX, Jim plans to achieve success for our clients through a combination of education, benchmarking, cost transparency, powerful data analytics and proprietary algorithms. Prior to founding APEX, Jim spent two years at Texaco, Inc. as a programmer/analyst working on a cash and banking system. Jim moved to the General Foods/Philip Morris organization in their corporate audit function in order to earn his CPA. After nearly 4 years within corporate audit, Jim was promoted to Manager of Financial Planning for their Maxwell House Coffee division. In that capacity, Jim oversaw financial planning and analysis for nearly $1 billion of annual coffee purchases. Jim is certified as a CPA, CMA, CAPP, CISA and CFE. David is a CPA and has a deep 25 year history within the Siemens Corporation. Working in various finance roles, David advanced to VP, Accounting & Finance for the Siemens North American Shared Services in Orlando. David moved to an entrepreneurial role at APEX Analytix in 2009, where he served as the Senior VP of Operations for APEX’ global audit services & payment integrity technology solutions for 6 years. During that span, David was responsible for all aspects of customer delivery, process design and relationship management resulting in APEX growing over 40%. David now is helping launch finHealth’s leading edge healthcare analytics solution to the Fortune 1000. Chris is CTO at finHealth. During Chris’ 18+ years with APEX Analytix he served in multiple technical capacities including most recently VP of Technology overseeing Infrastructure, Data Security, Physical Security and Database Administration. 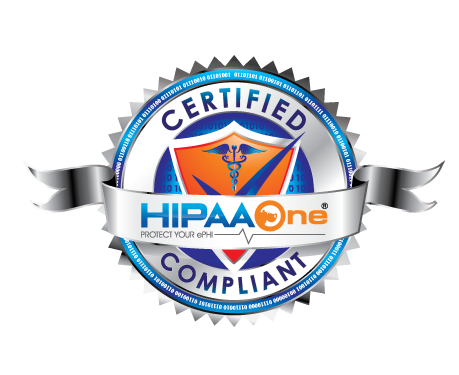 Chris’ security responsibilities involved responding to in-depth security reviews to satisfy the stringent standards of the world’s largest retailers and financial services firms along with leading the implementation of security controls required for HIPAA and SSAE16 SOC I and II certifications. Previously Chris was Director of Research and Development responsible for developing and implementing Procure to Pay products of the Apex FirstStrike product line including FirstStrike Commercial, Retail, Supplier Portal and eDiscovery in multiple Global Fortune 100 organizations. Chris also has experience with Artificial Intelligence, Predictive Analytics and Robotic Process Automation in APEX’s products and services. He has worked with AI vendor IBM Watson and RPA vendor UIPath to create working prototypes. Prior to joining APEX, Chris was with Electronic Data Systems. Chris holds a Master of Science in Information Technology and Management from UNC-Greensboro where he currently serves on the Department Advisory Board for the Master’s program. Blair serves as a deep Subject Matter Expert to finHealth in healthcare claims reimbursement, and is highly respected as an industry thought leader. Blair Bass joined our advisory board in September 2016, and since that time, has helped us successfully navigate the world of third party administration. Blair spent 6+ years at UnitedHealthcare in progressively responsible positions as a VP of Claim Operations leading over ten (10) claim organizations. In this role, Blair oversaw the work of ~1,400 employees, including 600 offshore & 800 onshore personnel. Blair is a “healthcare insider” who fully understands the inner workings & challenges of paying healthcare bills accurately due to his years of experience for one of the world’s largest healthcare payers. During his tenure at UHC, Blair oversaw innovative, client focused initiatives in the areas of claim editing, rework reduction, appeal and government compliance, error prevention & “above market”. Blair created new tools for root cause driver analytics to lead rework reduction efforts and improve claim payment compliance. Blair also drove innovation and automation throughout the claim process to increase productivity. All of these efforts led to a 20% reduction in rework claims, reduction of operating expenses by over $50m, and eliminating performance guarantee penalty payments in the claim rework area. Blair is a key resource in working with our TPA partners to enhance and support their internal audit efforts. Prior to joining UnitedHealthcare, Blair spent 13 years as an executive in a global consulting firm. Blair was a trusted advisor for many multi-national organizations in utilizing innovation, automation, technology and his business operations expertise to improve EBITDA by driving operating cost reductions. Harry Kurtz joined finHealth’s advisory board in early 2018, lending both his deep medical knowledge and billing expertise to continually refine finHealth’s methodology and software algorithms. In his full-time role, Harry Kurtz is the founding partner of Elite Hands: Advanced Clinical Providers. Elite Hands is forging its way in healthcare to enhance patient outcomes and decrease overall costs associated with surgery and peri-operative care. Harry has been involved in all aspects of the company including claims, billing and collections to deepen his understanding of insurance companies and their payment practices. Harry attended PA school at Nova Southeastern University, receiving the Lippincott, Williams & Wilkens award for Outstanding Surgical Achievement. He was then selected to join the 3rd Physician Assistant Surgical Residency class at Duke University, where his advanced skills enabled him to be treated as a PGY1 Resident working along doctors completing their residency. Harry has worked in numerous subspecialties, including cardiothoracic, general, bariatric, plastic, urology, OB/GYN, spine, orthopaedic and vascular surgery. Kathy Kovach joined our advisory board in April 2018. Kathy brings over 25 years of administrative and leadership experience from VF Corporation. VF is one of the world’s largest apparel, footwear and accessories companies, comprised of over 30 brands, 64,000 employees globally and over $12 billion in annual revenue. VF brands include North Face, Lee, Wrangler, Timberland, Vans and a host of other iconic brands. Kathy is a dynamic, creative and decisive leader with a passion for data driven results and will help us successfully represent the voice of the customer for finHealth. As Senior Director of Employee Benefits at VF, Kathy served as a strategic business partner for over 10 years in that role. She was instrumental in developing the long-term critical direction for all employee benefit plans and programs with a focus on minimizing both employee and company cost. Prior to her role in HR, Kathy worked 10+ years in auditing, accounting and finance enabling her to combine innovative thinking with sound analysis in making decisions that support business priorities, vital initiatives and cost stability. At VF, Kathy implemented numerous initiatives and programs that allowed VF to control healthcare spend by keeping premiums, employee contributions and cost sharing provisions at or below national trend for the last 10 years. Kathy developed the overall ‘health culture’ of the Company by introducing new plans and health management tools to enable and reward employee engagement including wellness incentive and coaching programs, disease management programs and telemedicine.